After my last post, I received a comment that I should post pictures of my hair, so that readers could see the health and progress. I thought to myself, ” Why didn’t you think of that? !”, felt silly and then searched through pictures of my hair. It occurred to me that it had been quite some time since I took pictures of my progress. So after my weekly wash day on Sunday, I blow dried and flat ironed my hair to do a length check and take some pictures for you guys. On Thursday I sat down with the camera and my laptop to write this post, only to realize that the memory card for the camera was nowhere to be found. To compound the matter this was Anthony’s camera and his memory card that I had borrowed. While I have a simple point and shoot, he has a DSLR so I tend to borrow it to take pictures for the blog. I asked him if he had seen it, searched high and low and it was nowhere to be found. I was surely in the doghouse for being so careless. Then, today while I was thinking about where to go and buy a replacement SD card, I noticed something small and black on the floor under the dining table. It was the card! I was so elated I sat down immediately to write this post. 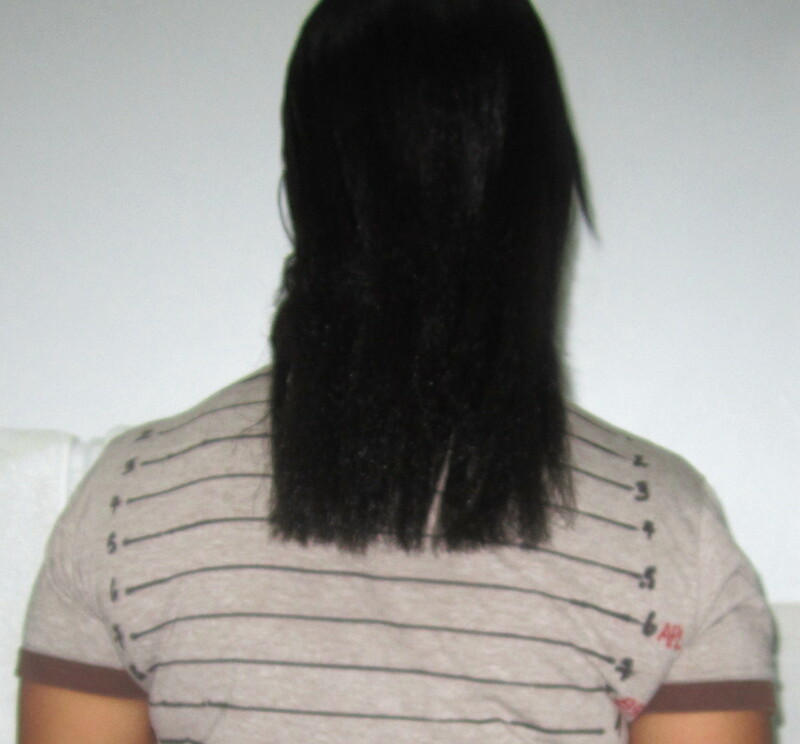 So, here is a picture of my hair when I officially started this journey, May 3, 2013. I had started taking steps to take care of my hair before that date but decided that I needed a proper trim to get rid of all my damaged ends to start my hair journey off on the right foot. This was the day I got the trim. Please excuse the quality at the photo. At the time I did not know I would need to show it to anyone else. I just wanted some record of my hair length so I could see my progress. 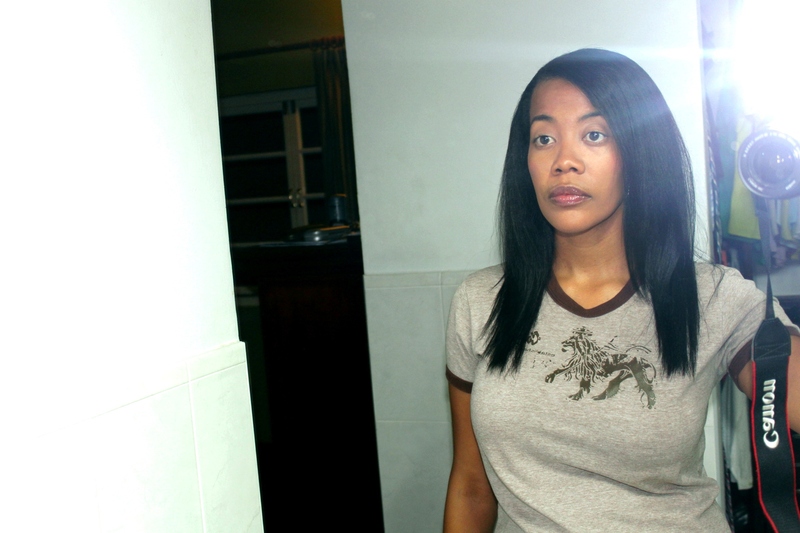 It was taken with the self timer setting on my point and shoot alone in the bathroom. You can see from my homemade length check t-shirt, that my hair was at line 5. This is what my hair looks like now. It’s at line 9, which means I retained 4 inches of length in 15 months! Its not as far as I wanted to be by now but as I’ve learnt over the year, there is a reason why they call it a journey. In the beginning you try out many different products and techniques to try to get to know your hair and what it responds to. Along the way you make mistakes and have setbacks but, I’m glad to see that regardless of my mistakes and my setbacks, I have still made great progress. 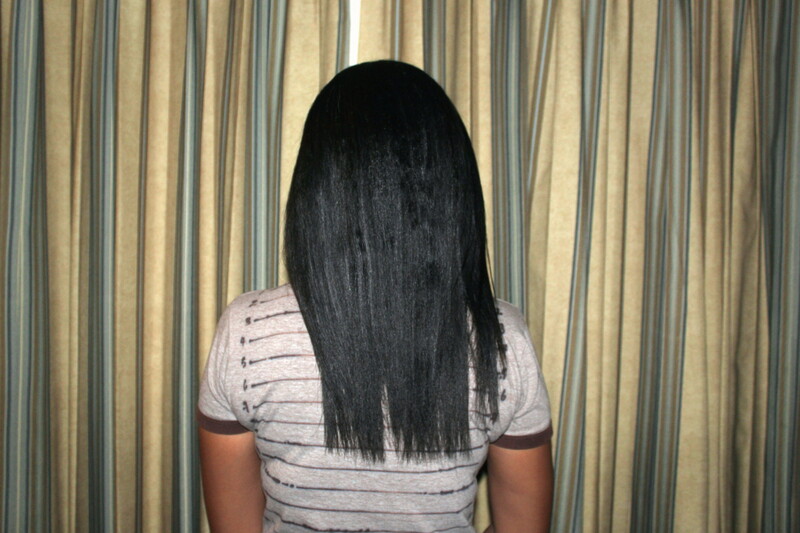 Best of all, I know so much more about my hair and I now have a regimen that is working and I have the pictures to prove it!